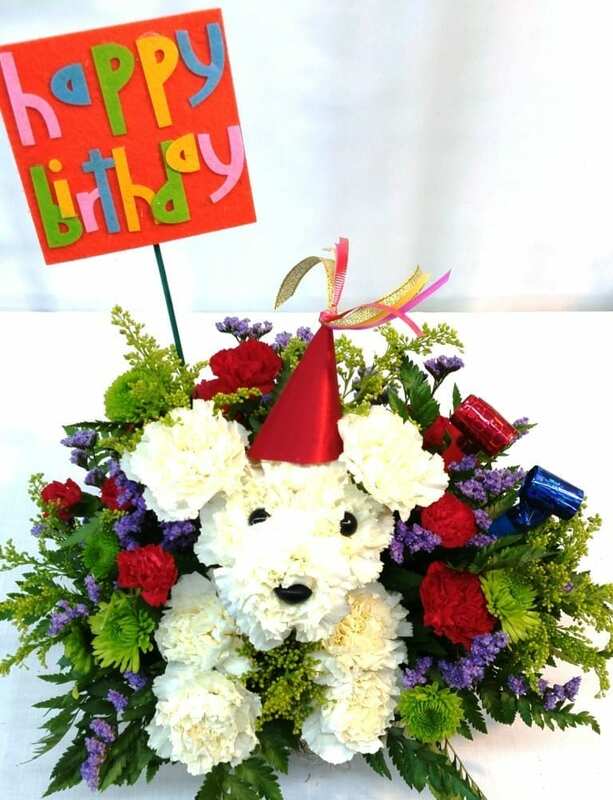 Send our Fiesta Happy Birthday Pooch made of white Carnations to celebrate the day! Each pooch arrives in a basket with a colorful Happy Birthday pick. Add a Mylar Happy Birthday Balloon at checkout for a finishing touch.